Since its founding in 1856, Newberry College has cultivated a rich tradition of challenging academic programs, personalized student-faculty relationships, and a close-knit, welcoming campus community. Through the intellectual and personal development offered at Newberry, students enter the workforce equipped and excited to make meaningful, positive changes to their local areas and global society alike. Newberry’s primary goal was clear: to engage prospective students, current students, and alumni. To do this, the college needed a website that would convey information quickly and run smoothly on all devices. The DuBose Web team decided that the best way to meet Newberry’s objectives was to create a modern, dynamic user experience that was as visually engaging as it was user-friendly. From a design standpoint, we focused on telling the college’s story through compelling images. 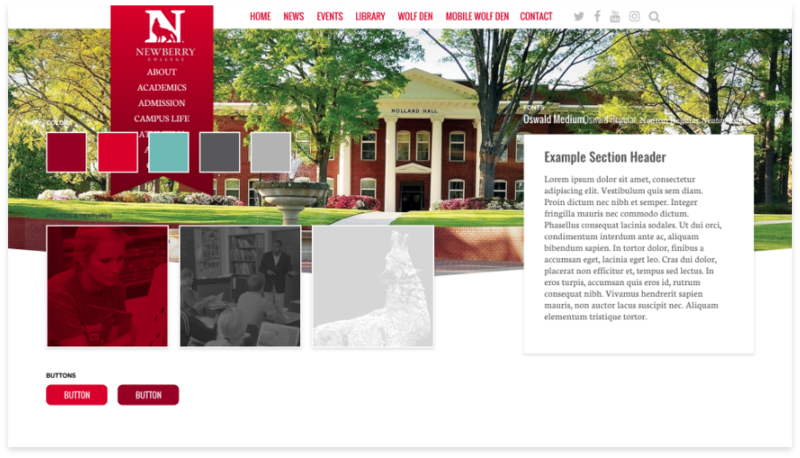 To build a solid foundation for Newberry College's website, we needed to look at it from the perspectives of those who would experience it. 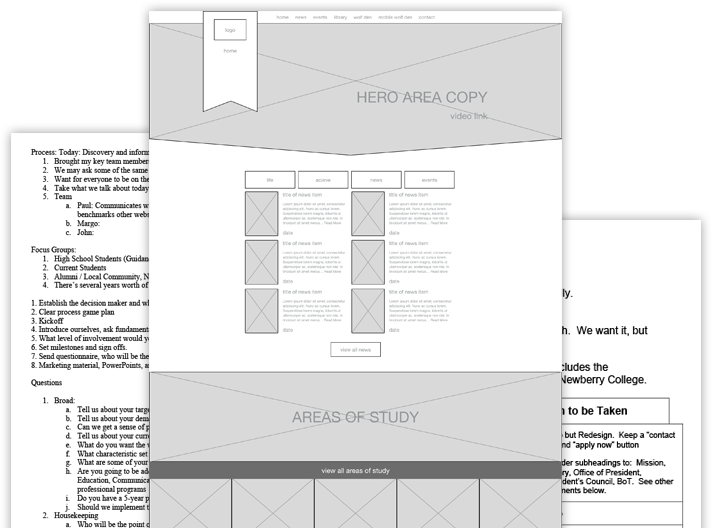 We started by white-boarding ideas and brainstorming to create buyer personas, then developed a user experience around what those individuals would want and need from the site. 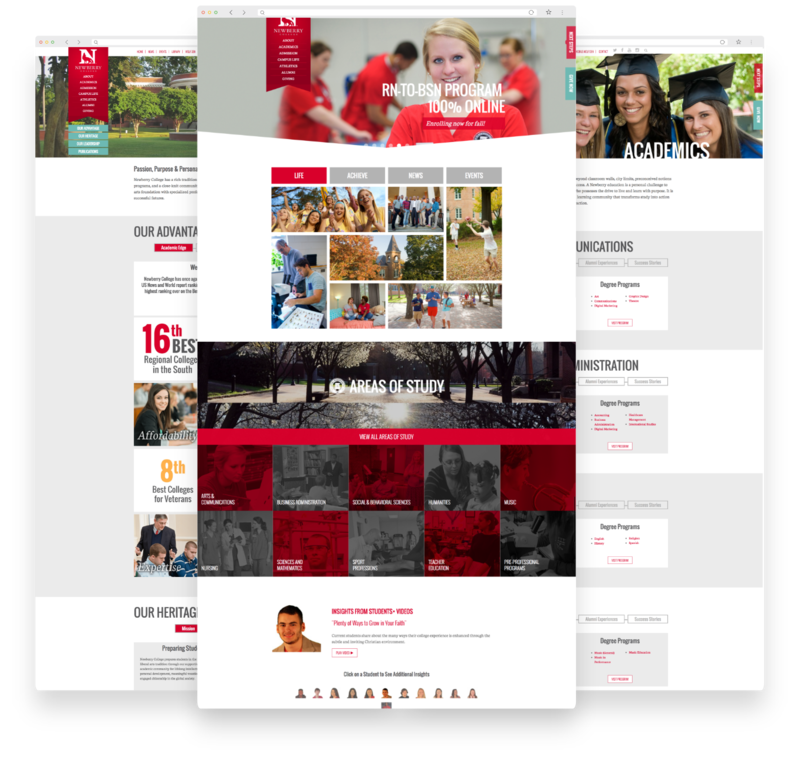 Designed to appeal to today's web audience, the new styleboard for Newberry College is modern, bold, and fresh. 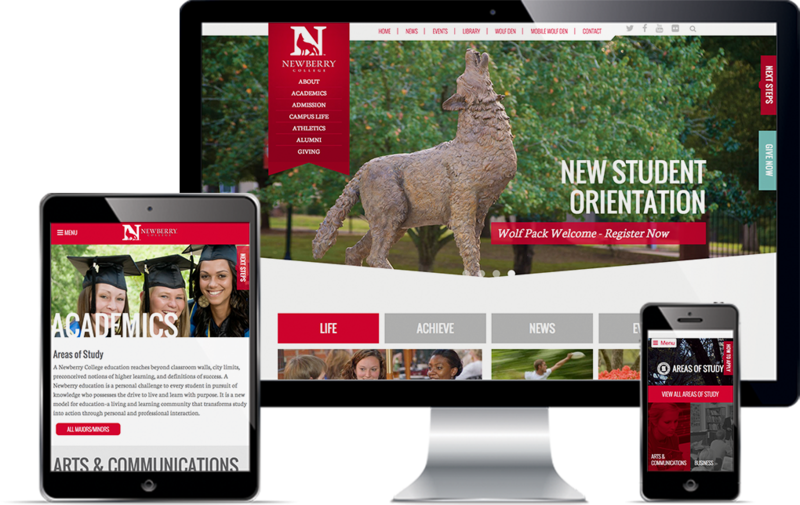 The final product immediately conveys Newberry College’s outstanding features to all visitors, while also inviting past, present, and future students to delve deeper into their own intuitive, personalized web experience through the site.